In Kids Cooking Lessons today we will be working with bread dough and baking homemade bread. Centuries ago, bread making was a daily or weekly event in most houses. Making homemade bread also is a science lesson in itself, watching the yeast proof and your bread rising. 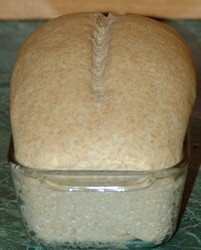 Yeast is a leavening agent which makes the dough light and spongy. Yeast creates bubbles of carbon dioxide which makes bread rise. Convenience has taken over but it still cant replace wonderful homemade bread. Making bread from scratch can be time consuming but teaching your children this kids cooking lesson and the art of bread making, will be well worth it. Dissolve 1 Tablespoon of the sugar in the water. It is important to make sure the warm water is an accurate temperature. If it is too hot, it will kill the yeast and if it is too cold, it won't rise. The temperature should be about 110 degrees. You can test with a candy thermometer. Add the yeast to the warm water and sugar mixture. 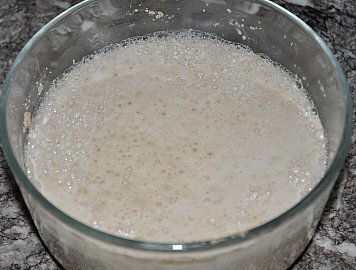 Yeast should start to froth or foam. In a bowl, add shortening, salt, remaining sugar and 7 Cups of flour. Stir together. Add yeast mixture and mix together to make a soft dough. 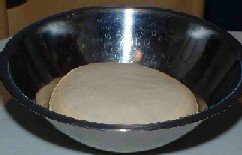 Add enough flour to the dough in order to create a ball. Take the ball out of the bowl and place on a clean and floured cupboard. 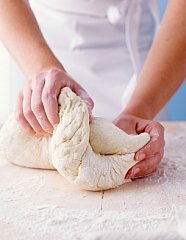 Knead with your hands. In a large clean bowl add 1 tablespoon olive oil to the bottom and swirl around to coat the bottom and sides of the bowl. Place bread ball in oiled bowl. Cover with a towel and leave in a warm spot in the kitchen. Let sit for 30 minutes. After 30 minutes, with your hand, pound dough down and knead for one minute. 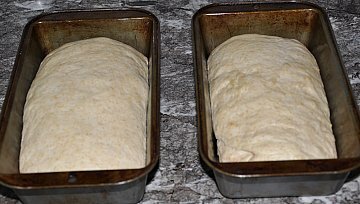 Form into two loaves and put in two loaf pans. Cover again and let rise 30 minutes. Then bake at 375 degrees for 30 minutes. Would you like a recipe for wheat bread?